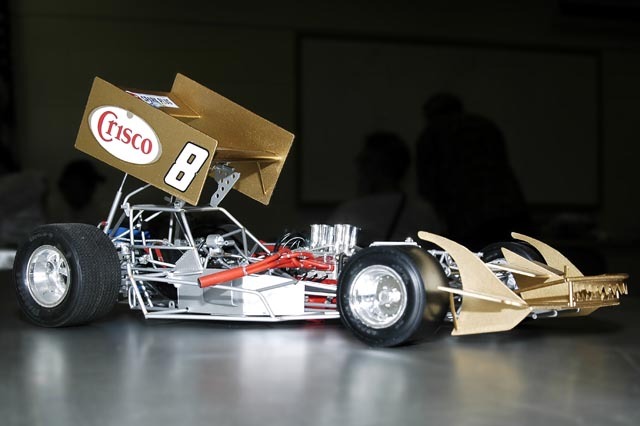 This original design Supermodified is the culmination of a year of on-again, off-again work. Very little of this car is not scratch built. Part such as wheels and tires, valve covers, and intake manifold were sourced from a few large scale kits, but the rest is all Gary's handiwork.